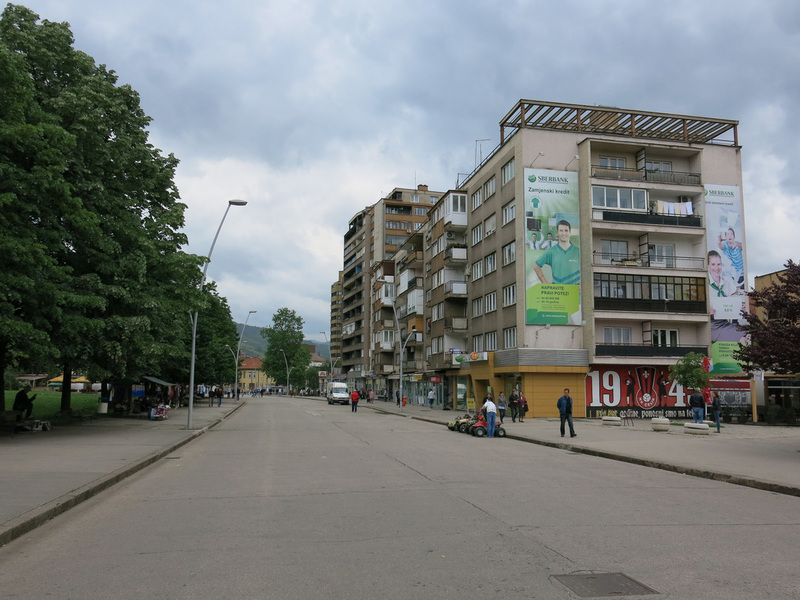 Zenica is an "industrial" city, Bosnia's fourth largest, and about an hour bus ride north of Sarajevo. Speaking another data point for the country I caught an early morning bus that wound through the mountains. 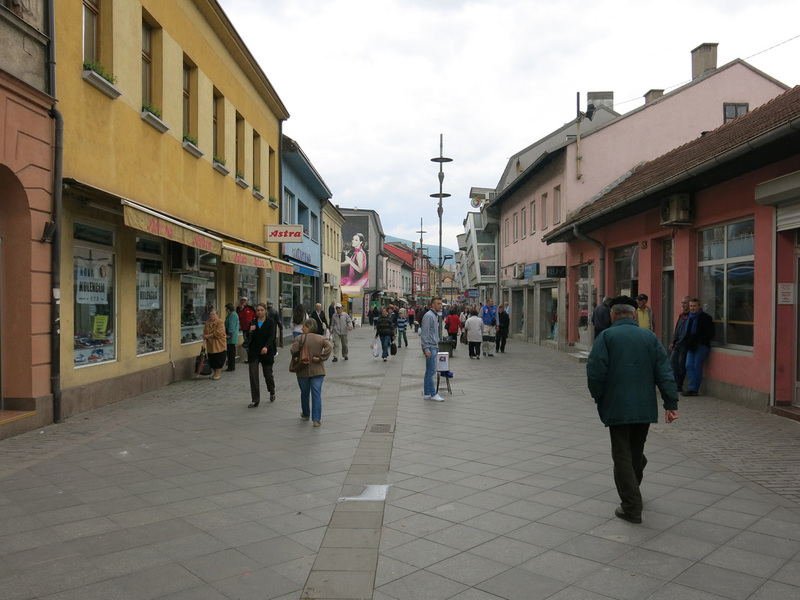 The bus station is on the north end of town and it's about a ten minute walk upstream along the Bosna River before reaching the city center. The only site of reference I had was Stara Carsija, the Old Town area. The empty ghost town atmosphere seemed like I was on the set of The Walking Dead. I found the Internet Club, a cafe sponsored by USAID and The Soros Foundation. Strange but the place made a good espresso. 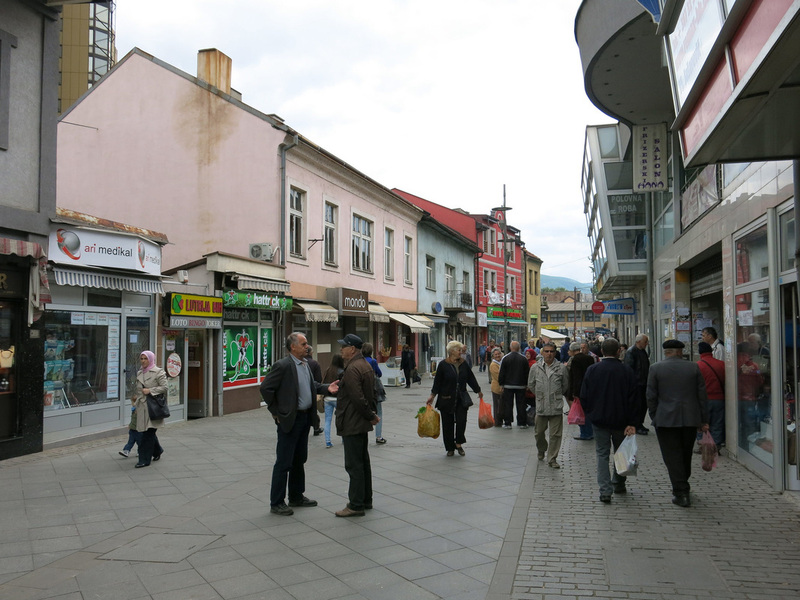 It was the only cafe along Stara Carsija's pedestrian street with clientele. Not dissuaded I continued north in the direction of the bus station and once I crossed a stream I entered the Marsala Tita, a much more livelier pedestrian street. 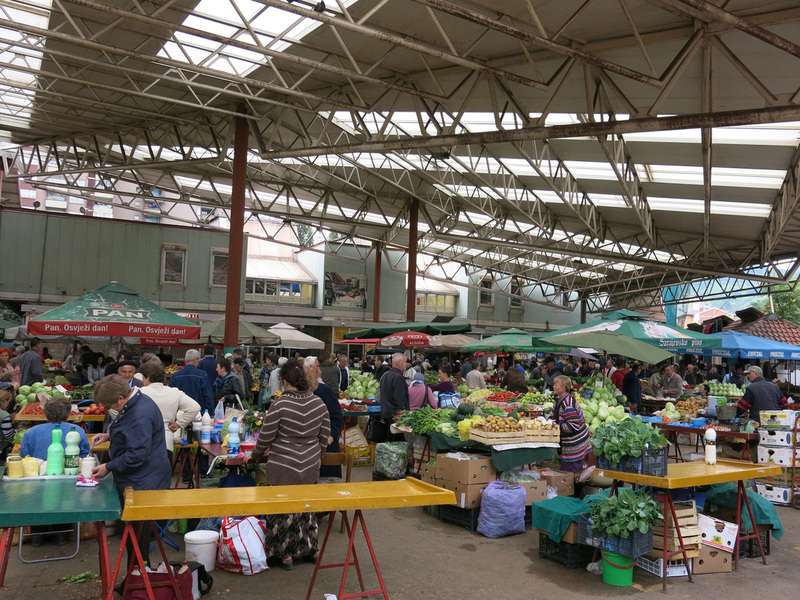 There was a large market and other stores filled with shoppers. From the view of another cafe it seemed that everyone in the town knew one another - walkers were constantly acknowledging one another to stop and talk.